‘I want not only to thank Lynn publicly, but even more importantly, to tell you that in less than two months, she delivered a report that is fabulous—there is no other word. Yes, there are facts, many of them. Yes, there are records, primary evidence all translated. Yes, there are charts, lineages… But, Lynn’s toolbox involves much more than this: She operates with both high intelligence and honed instincts, and these combine to yield more than data lines. Lynn understands the incomparable value of context, and she possesses a wealth of knowledge about how people, and their priests, thought and acted in the old times. She brings to her work a capacity to relate, not only to her client but to the old souls who populate her discoveries. She contextualizes factual data into a fully realized tale of human lives, palpable and intimate. I know of no other genealogist who does this. ‘I have been wanting to write to you since the day I received my wonderful report. From the first day we began to work together I knew this was going to be something special. Your interest in wanting to know what I wanted from this research showed me just how you personally care, and that I wasn’t just a client. All along the way with your updates and messages while you were in Italy brought excitement with each message. I really appreciate the tireless work that Lynn put into the search for my Trentino roots. She was able to help decipher some old family notes and reach back further than I thought possible. Using her extensive knowledge she presented the results in formats that are easy to read and understand. This included copies of original records with translations that highlighted the gems of information each new piece of information provided. She prepared a beautiful report with relatable anecdotes, photos and maps that have helped me gain a better understanding of my ancestry and the region. I started out knowing that I had family from two parishes. Lynn found connects to a total of five! I’m even more excited to visit the areas where my ancestors – 13 generations so far – once lived! Read about Lynn’s Genealogy Services and Fees HERE. Send me a short email via the contact form on this website (http://trentinogenealogy.com/contact). Please DON’T send me your complete family history or family trees. Please DO give me a rough idea of how much research you have already done (if any). Please DO give me a rough idea of where you may be stuck in your research. Please DO tell me tell me the parish(es) or the part of Trentino your family came from (if you know). If you don’t know anything about your family’s origins, that’s OK, as long as you are sure your family came from somewhere in Trentino. If you have any questions you before requesting a Skype chat, drop me a line via the contact form and I will reply. 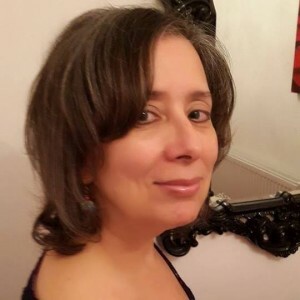 LYNN SERAFINN is a bestselling author, online marketing consultant and genealogist specialising in the f amilies of the Giudicarie Valley. She is also the author of the regularly featured column ‘Genealogy Corner’ for Filò Magazine: A Journal for Tyrolean Americans. Born in New York, and now living in England, Lynn’s father Romeo Serafini immigrated with his parents and siblings from Santa Croce del Bleggio to the Pennsylvania coal mines shortly after World War 1. Author Father Bonifacio Bolognani cites her great-granduncle Luigi Parisi as the founder of the Trentino community in Brandy Camp, Pennsylvania in the late 19th century. Through extensive research, she has already linked together tens of thousands of Trentini in an extended family tree. Now her ongoing vision is to create a genealogical ‘map’ of everyone either born in Bleggio, or whose ancestors came from there, from the 1400s to the current era, to serve as a visual and spiritual reminder of how we are all connected. To speak with Lynn about how you can find out more about your own Trentino ancestry, drop her a line via the contact form on this website.